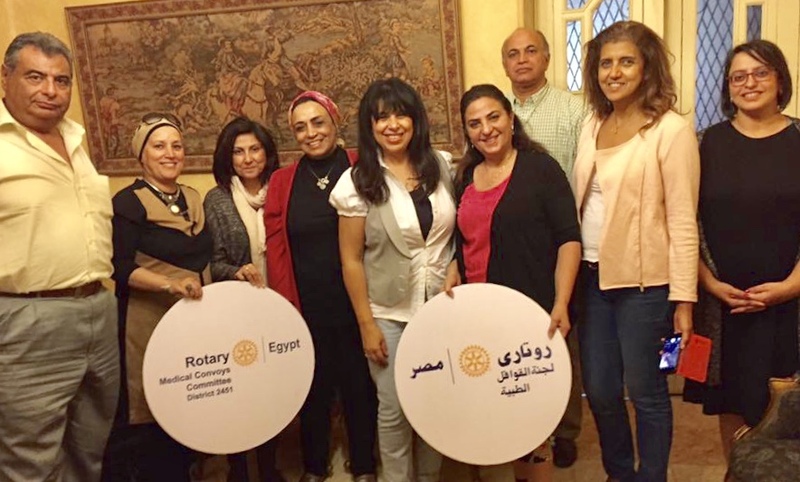 We are very fortunate to have members of the Medical Convoys Committee of Rotary of Egypt, Cairo South, District 2451 on our team. They’ve helped to sponsor our mission, and members are present daily at the hospital. 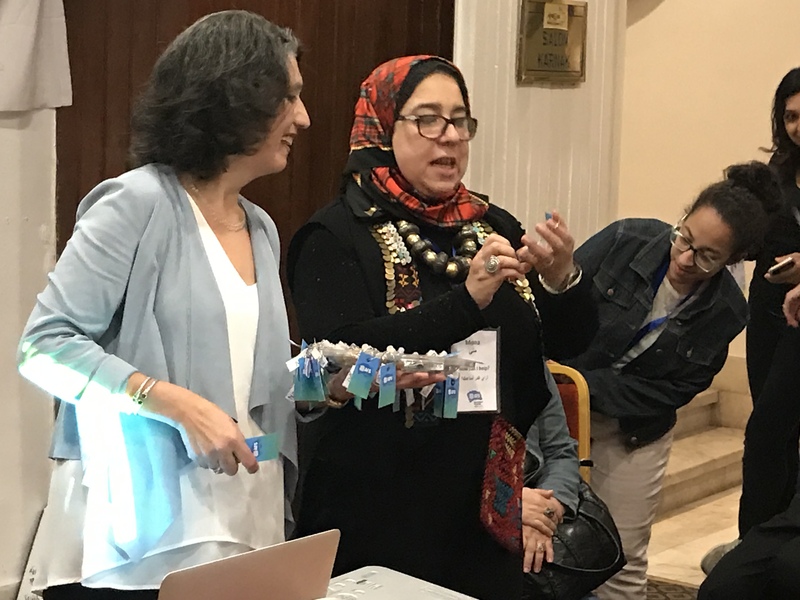 Eman Sallam and her team take care of many of the details of our day, including transportation, delicious lunches, interpreting, and communications with others to help us get our work done. Alumni members of the AFS Alumni Intercultural Group of Egypt, each having spent a year in the United States, are invaluable for their interpretation skills. Their translation is needed for everything we do. These young people give freely of their time, graciously, gratefully, taking time away from their studies. We and our patients are so much better for having them here with us. Here AFS volunteer Maria is working with Dr Dulce Anunciacion, Anesthesiologist. 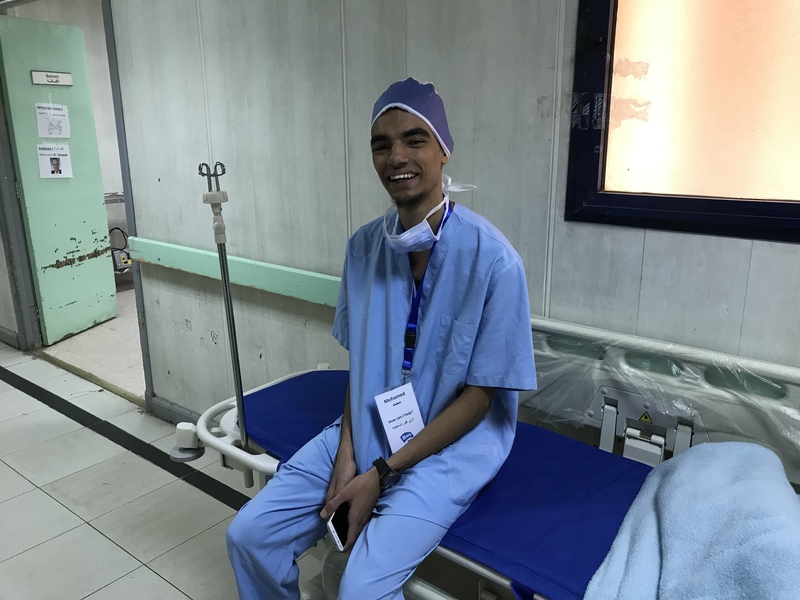 AFS volunteer Mohamed is taking a break from observing surgeries in the operating room. 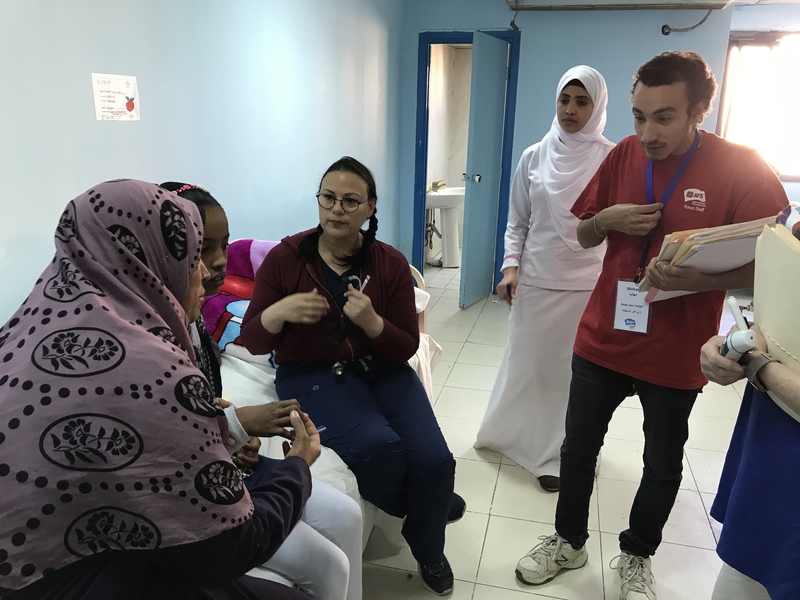 AFS Media Specialist, Mohab Farid translates for Karen Davis, Pediatric Nurse Practitioner, to convey important information to this patient and her mother. Here, Jessy, Daniela and Maria teach patients how to make braided bracelets. 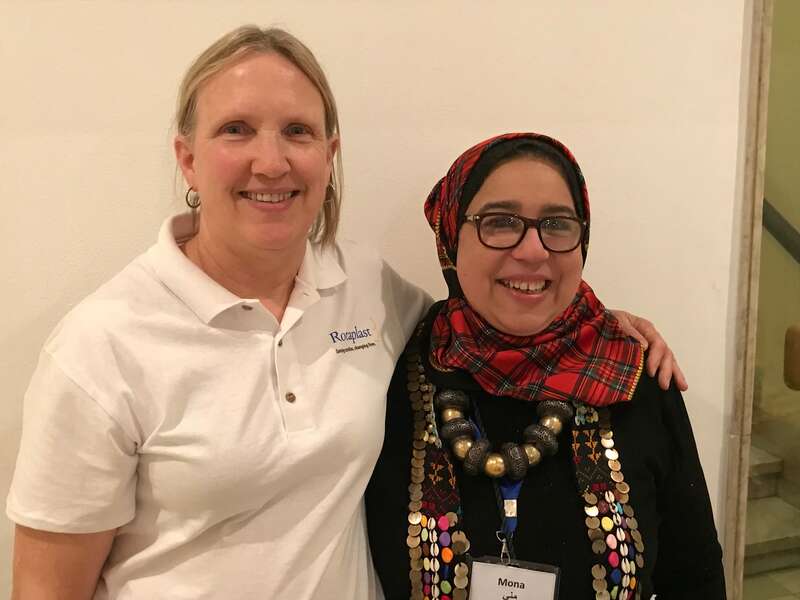 Marguerite Fleming, Mission Historian, with Mona Fadali, AFS Organization Development Coordinator. 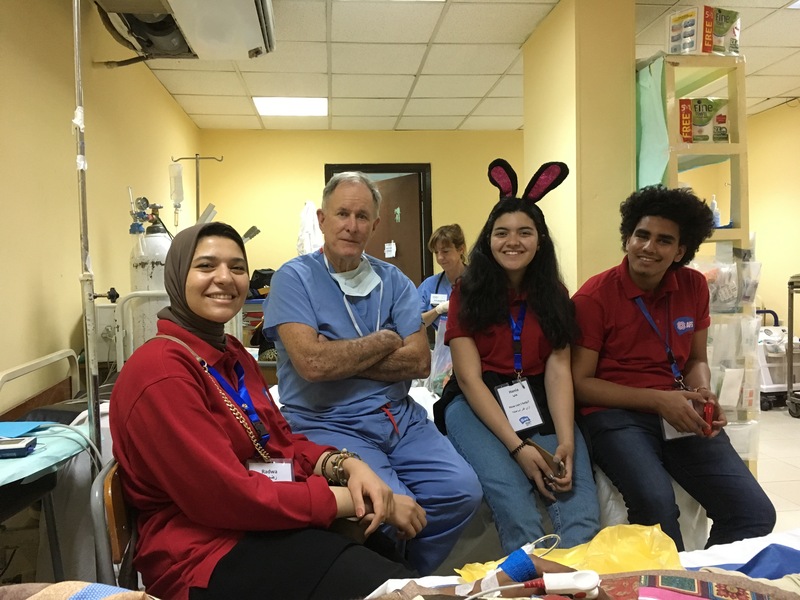 AFS volunteers, Radwa, Hania, and Seif enjoyed their daily discussions and testing of Egyptian culture and religions with Dr Joe Herbert, Lead Pediatrician. Puppet shows given by our AFS volunteers were greatly received. 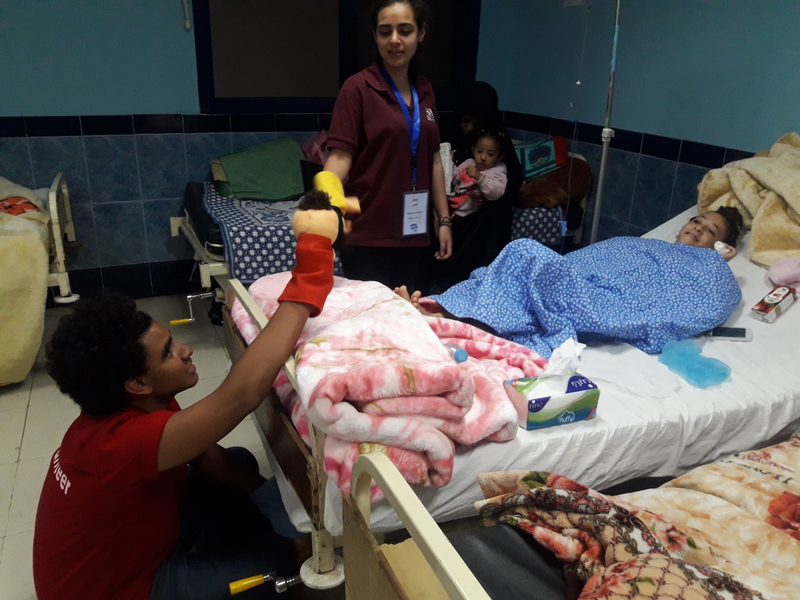 Here, Seif and Jessy entertain children on the ward. 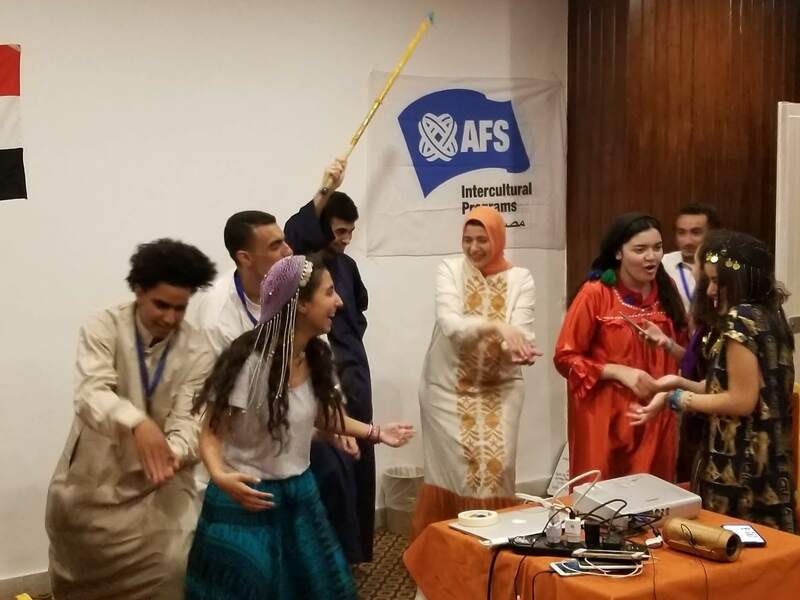 One evening, we were treated to a Cultural Presentation by AFS. The students, dressed in traditional clothing, did traditional dances, inviting all to join in. 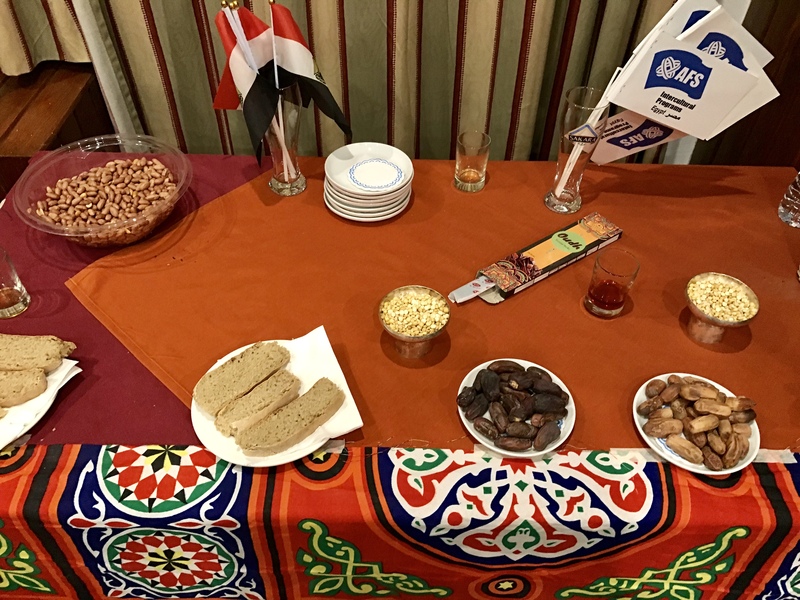 Local foods, such as bread, dates and sand-roasted peanuts were available for us to taste, as well as juices made of hibiscus, carob, doum and tamarind. 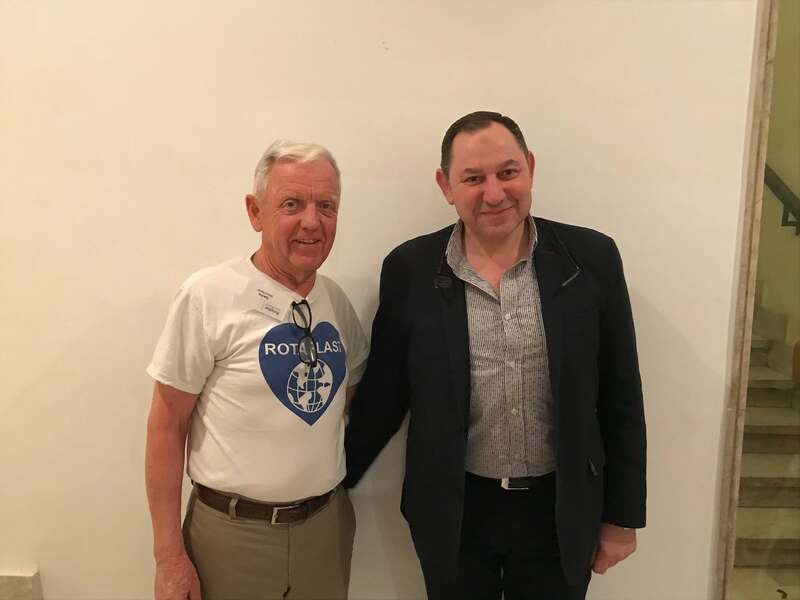 Tom Fox, Mission Director, with Dr Tarek, Director of the Luxor International Hospital, who came to the AFS Cultural Program. 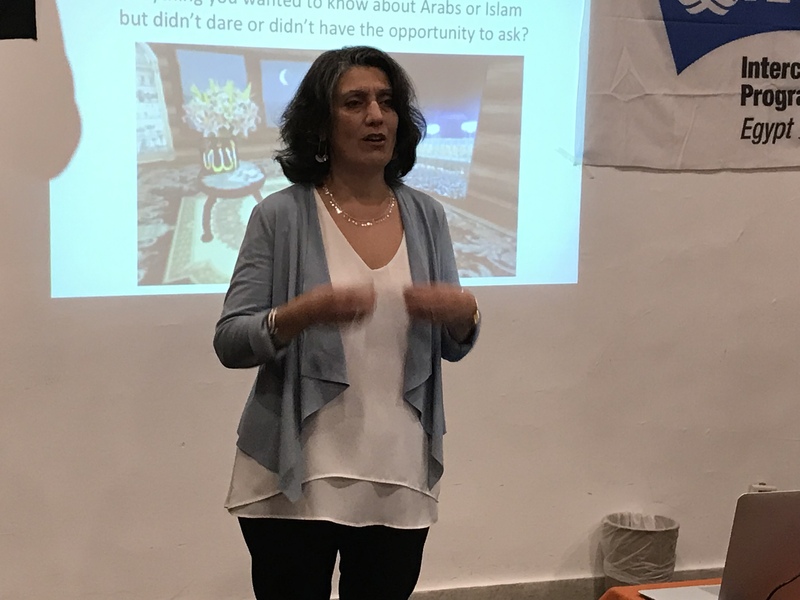 Afterwards, Sherifa Fayez, National Director of AFS Egypt, gave a presentation about the Arab World, the Middle East and Egyptian culture, which was very informative and well received, giving us a better understanding of this part of the world. We learned of the term ‘Insha’allah’, which means ‘God willing’. It is used frequently in conversation when hoping something will happen. 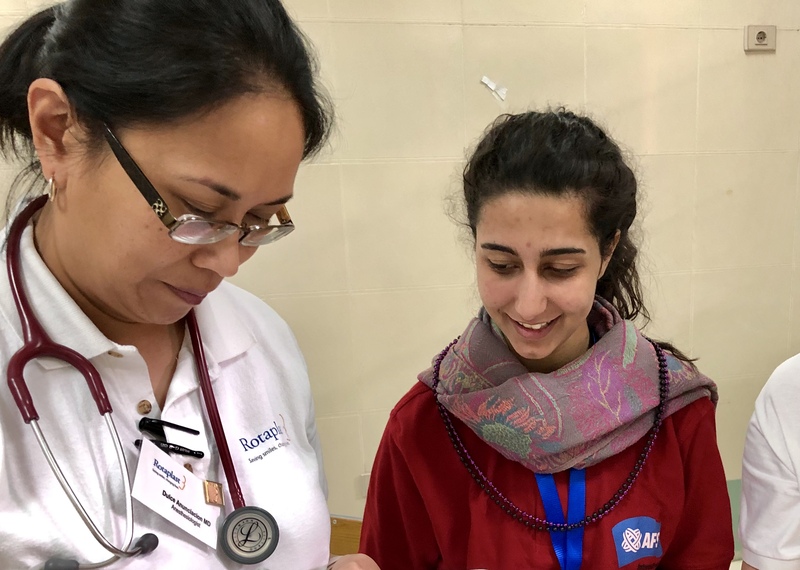 Sherifa and Mona presenting handmade sand painting remembrances to each member of our team. So who are these young people? Heidi, 25, is a civil engineer. She spent a year in Georgia, USA, and tried motorcycling and mountain climbing. Her favorite thing was her host family. She likes the American sense of humor and sitcoms, especially Friends and Seinfeld. At home, she volunteered with AIESEC, communicating with foreigners to create better understanding in the world. Jessy, 20, is in her third year of university majoring in Spanish and translation, and is already fluent in Arabic, English, and German. She pent a year in South Carolina, USA, and tried snowboarding and skiing. 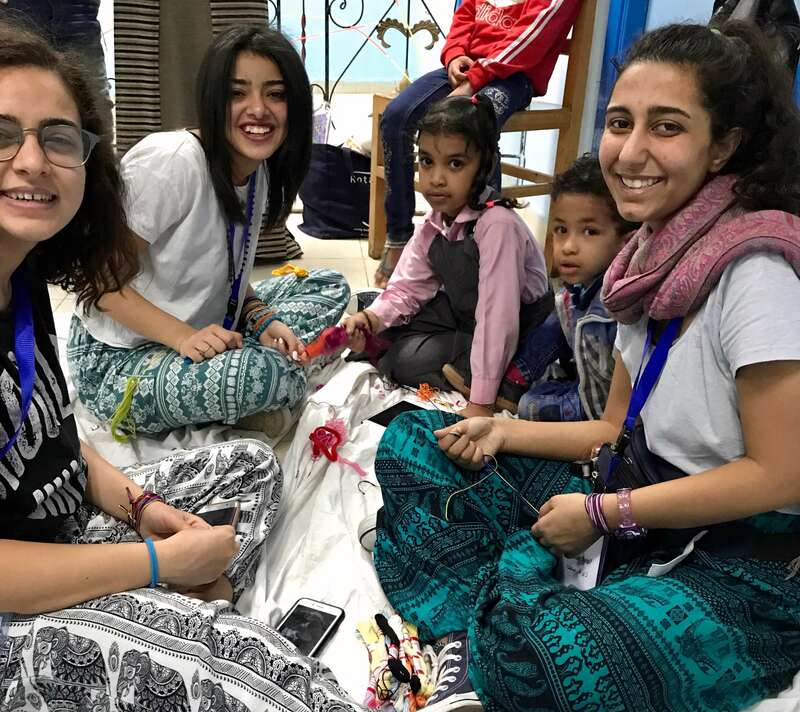 One of Jessy’s favorite AFS projects was Enlightenment, teaching hygiene, growing food, and caring for the environment to young chiildren. She visits orphanages to play with the children and brings small gifts. Hania, 20, is taking a gap year, taking some courses and might pursue engineering. She loves helping people and languages, and is fluent in Arabic, English and French, with a little Russian and Spanish. She spent a year in South Carolina, and made a video game. Her community service there taught her a lot about parenting while helping at a church nursery and with her host family’s in home daycare. Mohamed is a high school junior. He spent a year in Colorado, USA, where he got to try skiing. His favorite moment was when he went to state championships in track, running the 4×8 meter race. He lives here in Luxor, and wants to study aeronautical engineering. Seif is a high school junior. He spent a year in Colorado, USA, and tried skiing and ice skating. He participated in the talent show with his dancing. (He’s quite amazing as we got to see!) The best thing that year was his host mom, and he loves Mexican food. Seif likes to be positive and shares that with everyone he meets. He would like to study mechanical engineering. Radwa, 20, is a third year graphic arts student, and is an amazing artist. She spent a year in Portland, Oregon, USA, where she discovered hail for the first time. She started an Arabic Club at school and was a TA for the teacher Her host family was Swiss, so she experiencd Swiss culture at home, and American culture elsewhere. While volunteering with Outdoor Education for 7th graders, she was fascinated by the forest and huge trees. She loved the VooDoo donuts! Daniela, 19, is in her second year at university in business administration. She spent a year in Eureka, California, USA, and loved the weather, people, bagels, and burritos! She will soon travel to Turkey to visit an AFS student she met in the United States. She loves Turkish TV. 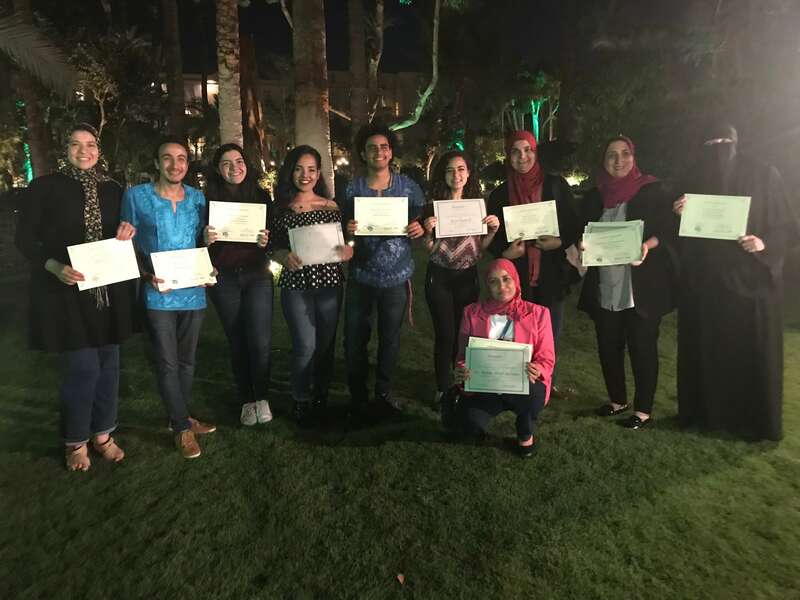 Radwa, Mohan, Hania, Heidi, Seif, Jessy, Shefaa, Hwaida,Hasnaa, Rahma (in front) on Awards Night. Share your smile with the world. It is a symbol of friendship and peace.